Join Dark Sky Wales astronomers as they team up with Griffon Observatory to provide a truly wonderful stargazing experience. Set in the Grazalema National Park, Andalucia the Griffon Observatory offers fantastic vista of the night sky amid traditional Spanish culture. By day explore the wonders of the National Park and by night gaze upon the cosmos from a warm climate. Shirt sleeve astronomy at its best. Dark Sky Wales staff will meet you at Malaga airport and transport you to the quaint village of El Bosque. Here you will be introduced to your accommodation for your long weekend and staff from the observatory. Observations begin after an early evening meal and last until the early hours of the morning when you will be driven back to your accommodation. Friday and Saturday are left open for you to explore the local area (guide books will be provided by staff) before meeting up at 7pm for that evenings observing. Sunday afternoon is set aside for solar observing (this is optional at no extra cost) and staff will collect you at 2pm for a 2 hour observing session before returning you to your accommodation. 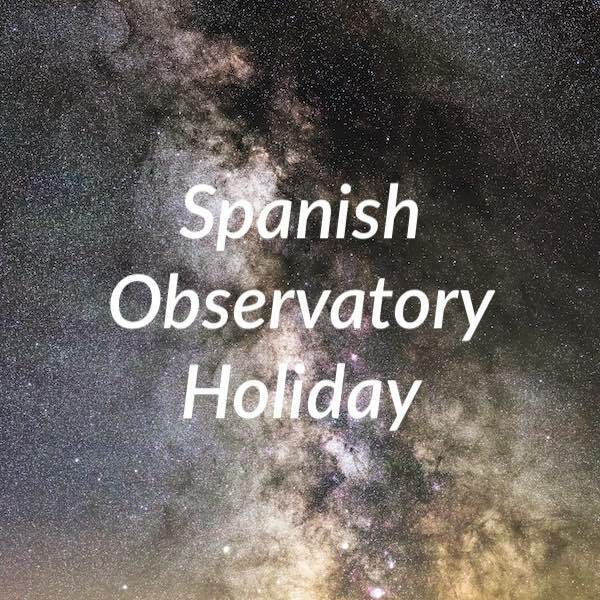 Evening observing will again begin at 7pm and finish at midnight allowing you to get a good nights sleep before being transported back to Malaga Airport on Monday morning. Transport from Malaga airport to the observatory, accommodation and observatory fees are included in the price. Places are limited to 10 and we are expecting interest to be high so please book early to avoid disappointment.